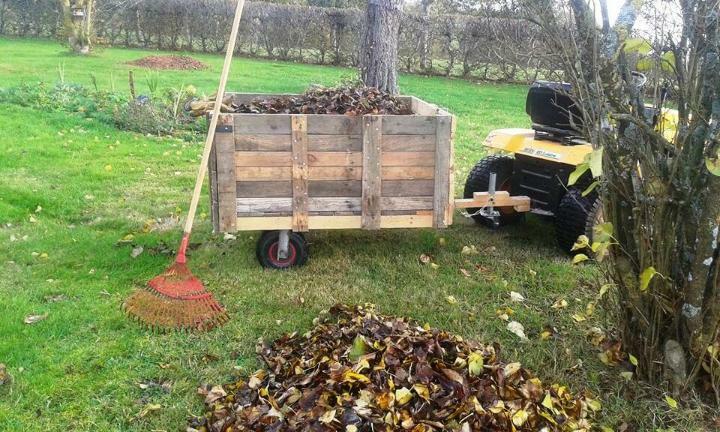 Get a big help from pallets also for better management of your gardens! Use pallets to build garden walkways, raised flower beds, outstanding wooden planters and also use pallets to install durable wooden garden fences! Not only for garden only, use pallets for a whole outdoor landscaping as you can also install beautiful wooden terraces and deck with pallets! 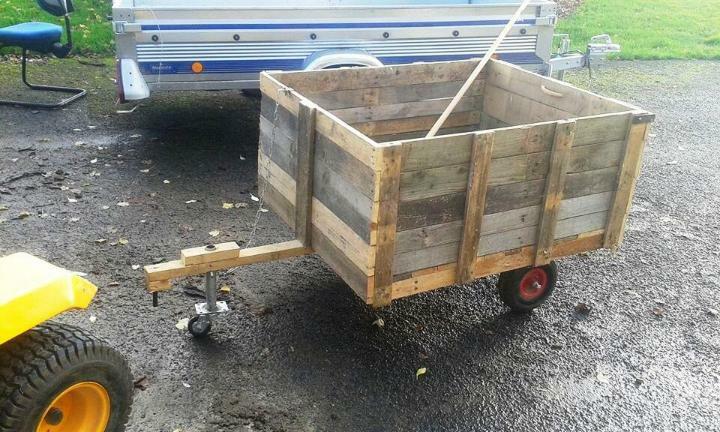 This time we are again with a better gift for garden lovers, this is the DIY pallet garden trash cart, all easy to build at home! 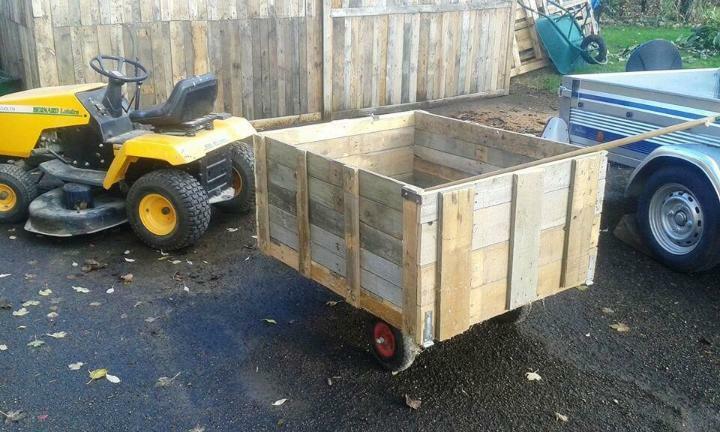 Put together torn apart slats of pallets for building a big box, raise it on reclaimed wheels and enjoy! This garden trash cart comes with a front hook so can be dragged easily around the garden through a garden vehicle! It will all come in handy to shift garden trash piles to dumps! There is a folding down back also that help to load trash easily! Clone it now if you want a big helping hand for your garden related tasks! 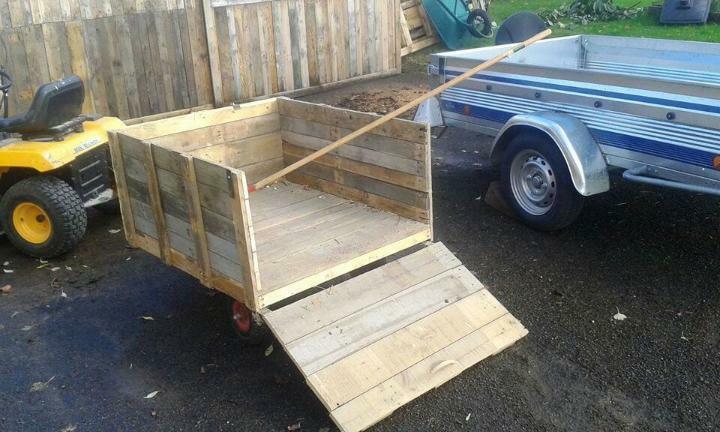 You need to have 5 equal wooden board to compose this garden trash cart! All having a shape like a big box! For building each of 5 boards, put flat equally resized pallet boards on floor and brace them up! Once you can get the all 5 boards according to measured dimensions! Attach them together for building a big box! Use extra wood to install the front hook! Reclaim old wheels from home like from a broken up BBQ grill and raise this cart on wheels for easy dragging! Simple and beautiful pallet project in honor of garden lovers!